Product categories of Ring and Size Machine, we are specialized manufacturers from China, Ring And Size Machine, Ring Loading Machine suppliers/factory, wholesale high-quality products of Ring Size & Loading Machine R & D and manufacturing, we have the perfect after-sales service and technical support. Look forward to your cooperation! 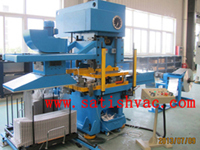 Ring and Size Machine(ring size & loading machine) is a professional equipment for heat exchanging coil production. Steel coil reeling machine is a kind of winding wrapping equipment for wire, wire, cable and so on, in order to achieve good protection and decorative effect; with packing speed, wide range of packaging, easy operation. Wire winding machine is to meet the cargo assembly of storage, transport and mechanized handling operations packaging requirements, design and manufacture of the tray-winding machine, pressure-top-type resistance to pull-winding, pre-tensioning automatic film winding machine products, widely used The production cost of the products such as food, beverage, irrigation, paper making, dyestuff, plastic chemical industry, glass ceramics, electromechanical casting and so on. It can also prevent the damage of the goods during the transportation process. Cleaning effect.